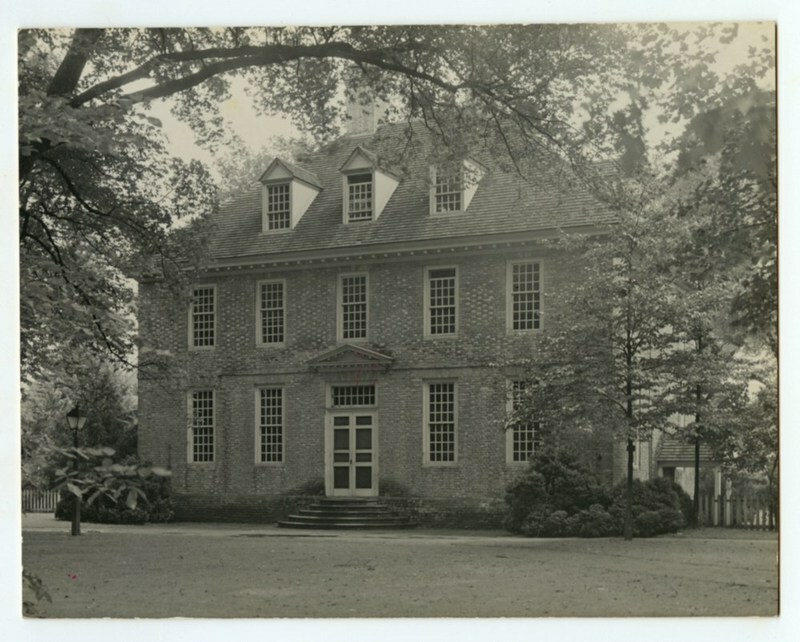 The Brafferton, located on the south side of the Wren Yard and southeast of the Wren Building, was built by William & Mary in 1723. It was originally used as an Indian School and believed by some to be the first of its kind in America. Its intent was to educate and prepare Native American boys for the Anglican priesthood, an endeavor that met with little success. Today it houses the President’s and Provost’s Offices. Funds for the construction came from the estate of English scientist Robert Boyle in the form of profits from the Brafferton Estate in Yorkshire, England. After the Revolutionary War, English funding ceased to come in and the Indian School was closed. 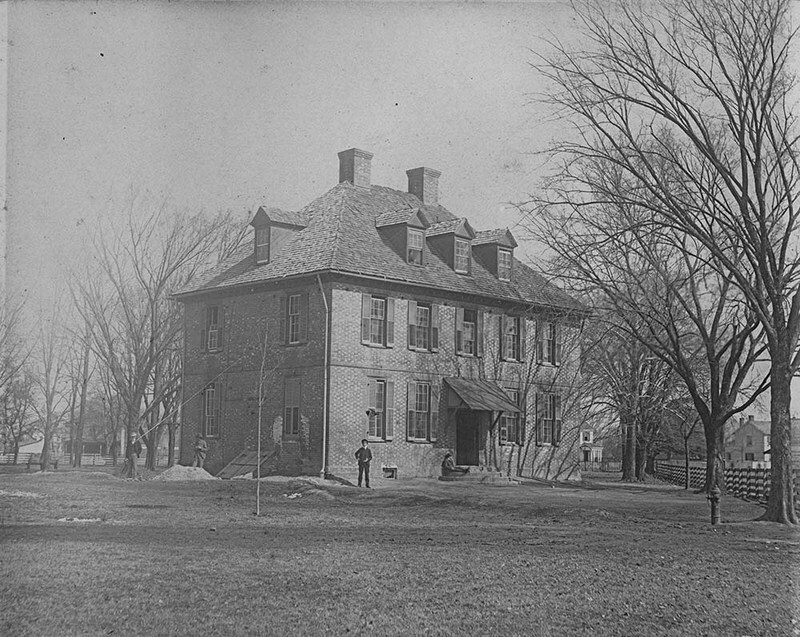 In 1865, the Brafferton served as the office and quarters of the commanding officer of the Union garrison in Williamsburg. And in the spring of that year, it was also used as part of the Union defensive works after a raid of troops under John Singleton Mosby. 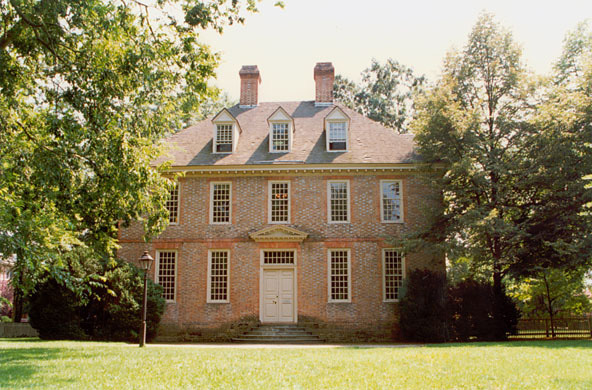 Throughout the years, the Brafferton has also served as a residence for professors, a dormitory for students, an armory for the Wise Light Infantry, the Alumni Association office, and even the Music Department. Hot and cold running water was installed in 1912, and, in 1918, it became the headquarters for the Students' Army Training Corps. Its functions continued to change throughout the 1920s: Business Administration office (1920), Dean's, Registrars, and College Physician's offices (1921), Flat Hat office (1922), President's and Treasurer's offices (1922). It was restored 1931-1932 and has been the home of the President's Provost's offices since 1985. The Brafferton, 2008: Front of The Brafferton facing the Wren Yard. ~ Source: University Archives Photograph Collection, UA 8. ~ Creator: College of William and Mary. 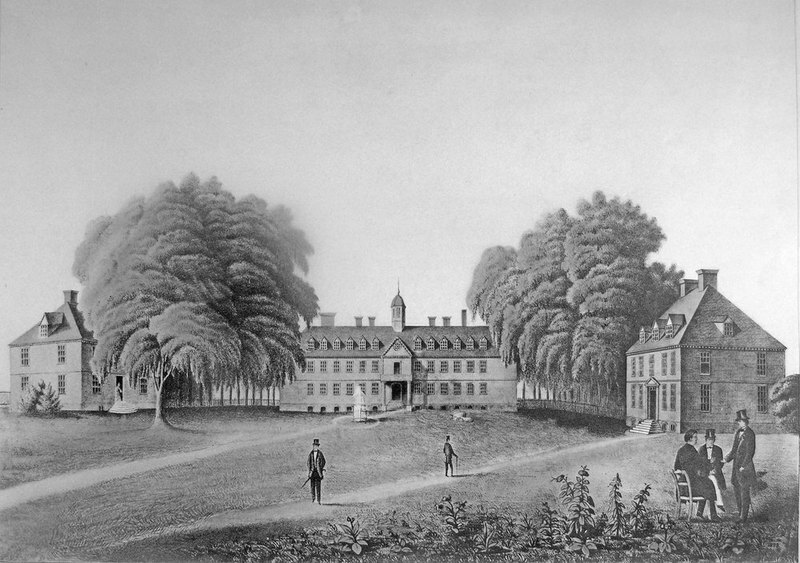 Millington Print, circa 1840: Lithograph featuring (from left to right) the Brafferton, Wren Building, and the President's House based on the original done by Thomas Millington. ~ Source: University Archives Photograph Collection, UA 8. ~ Creator: College of William and Mary. Rear of the Brafferton, 1901: A photograph of the rear of the Brafferton facing Jamestown Road in 1901. ~ Source: University Archives Photograph Collection, UA 8. ~ Creator: College of William and Mary. Front of the Brafferton facing the Botetourt Statue, circa 1907-1917: An image of the front of the Brafferton facing the Botetourt Statue, circa 1907-1917, after the renovation of 1905. ~ Source: University Archives Photograph Collection, UA 8. ~ Creator: College of William and Mary. 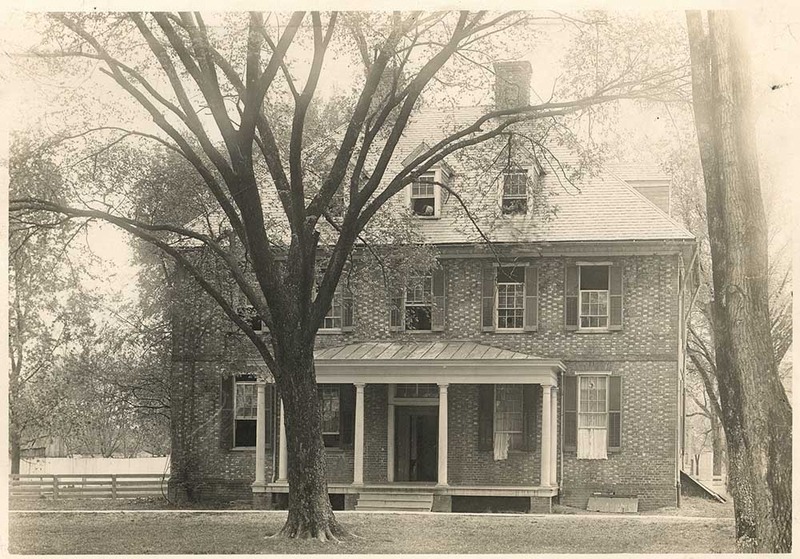 Brafferton, circa 1925-1931: A northwest view of the front and side the Brafferton, circa 1925-1931, with notable porch. ~ Source: University Archives Photograph Collection, UA 8. ~ Creator: College of William and Mary. 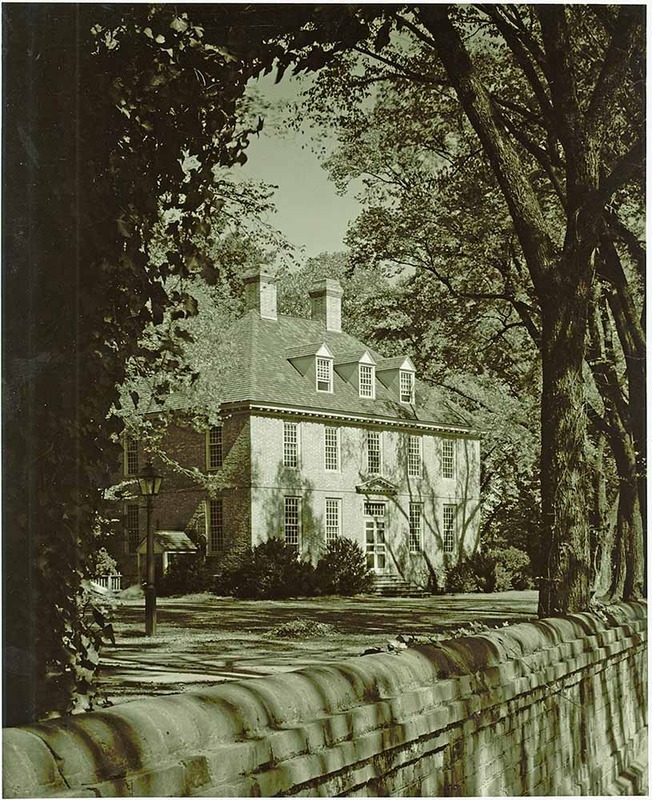 Rear of the Brafferton, circa 1960: A view of the rear of the Brafferton from Jamestown Road taken in the 1960s, following the renovations of 1931-1932. ~ Source: University Archives Photograph Collection, UA 8. ~ Creator: College of William and Mary. 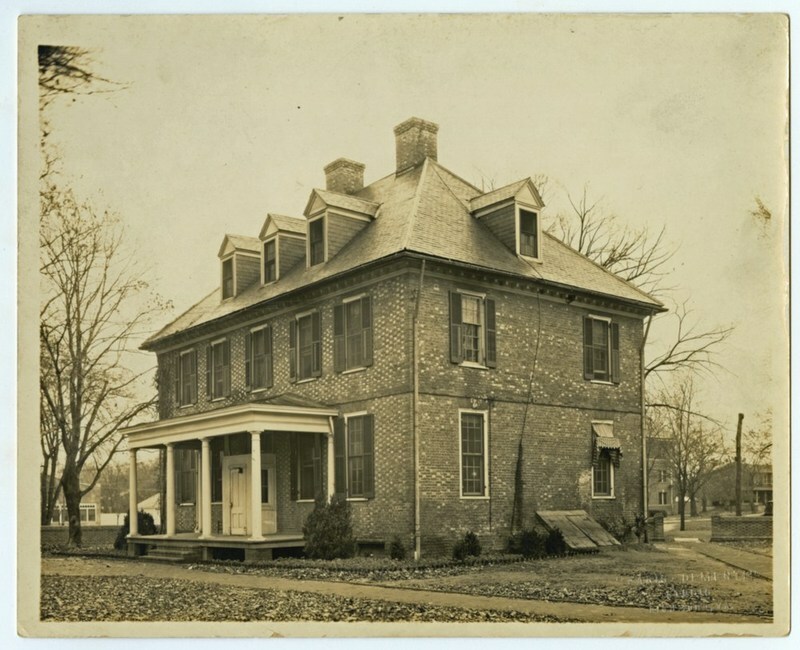 Brafferton, undated: An undated image of the Brafferton building. ~ Source: University Archives Photograph Collection, UA 8. ~ Creator: College of William and Mary. 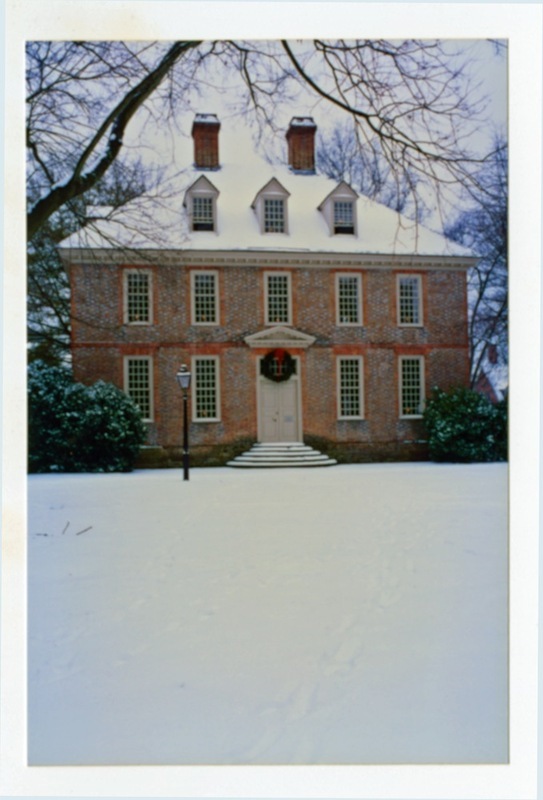 Brafferton, circa 1990: The Brafferton in snow with holiday wreath, circa 1990. ~ Source: University Archives Photograph Collection, UA 8. ~ Creator: College of William and Mary. 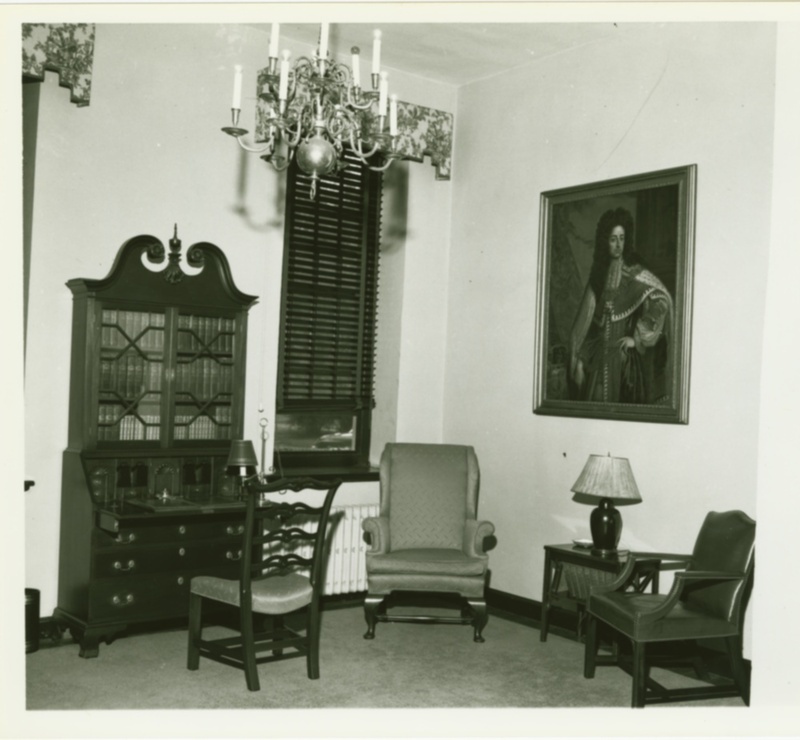 Brafferton interior, 1951: The interior of the Brafferton in 1951, featuring a portrait of King William III. ~ Source: University Archives Photograph Collection, UA 8. ~ Creator: College of William and Mary. 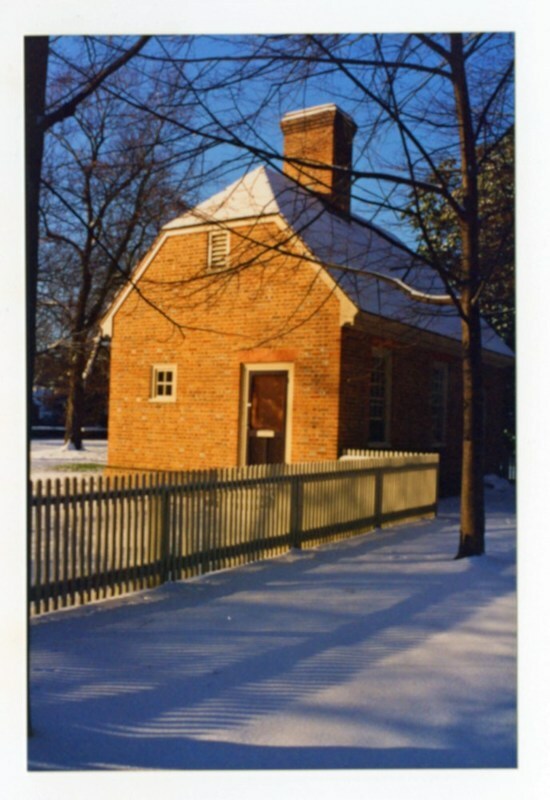 Brafferton Kitchen, undated: An undated image of the Brafferton Kitchen in snow, a building that is now used as an office space. ~ Source: University Archives Photograph Collection, UA 8. ~ Creator: College of William and Mary. 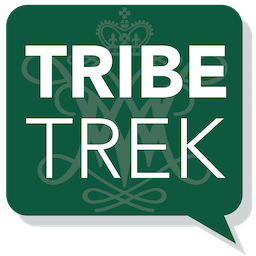 Special Collections Research Center, Swem Library, College of William and Mary., “The Brafferton, Constructed 1723,” TribeTrek, accessed April 26, 2019, https://tribetrek.wm.edu/items/show/2.